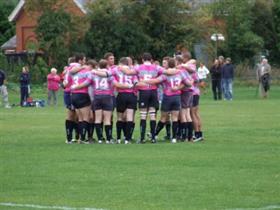 Olney Rugby Football Club is the most powerful club side in the Bedford, Milton Keynes, Northampton "triangle", with a history dating back to 1877 and has a range of facilities for the players, spectators and their families. Olney Rugby Football Club are past champions of the Southern Counties North League and the Ladies team are league winners. The club has an amazing programme of teams and training for youngsters which is well supported by parents and the children themselves. There are teams to suit all and those who prefer not to play are welcome to the club to socialise. Throughout the year, the club oganises a range of social events. There are also tournaments such as the 'Sevens'.